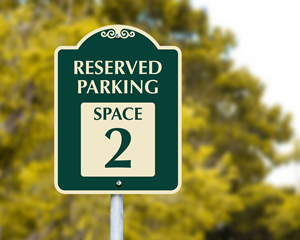 Assign each tenant’s parking space. 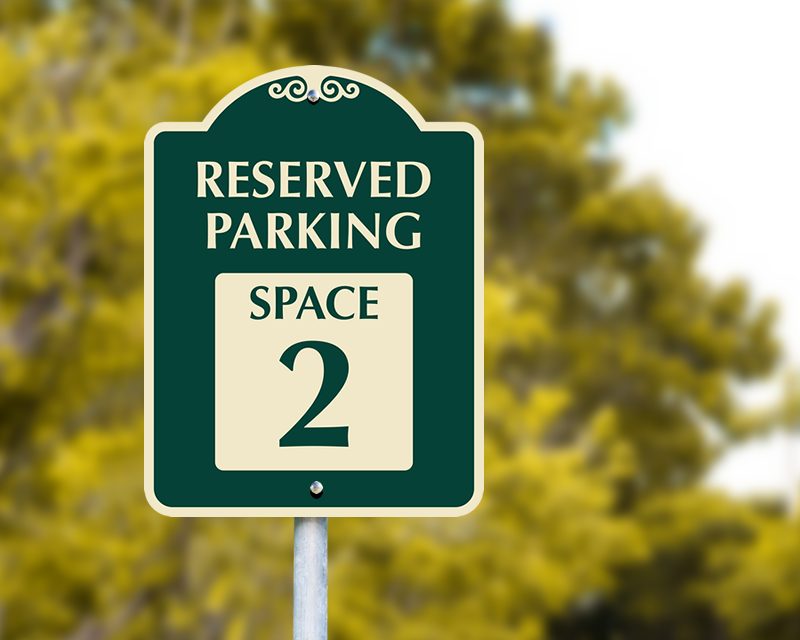 Elegant signs are a geat way for your property to mark each reserved parking spot. 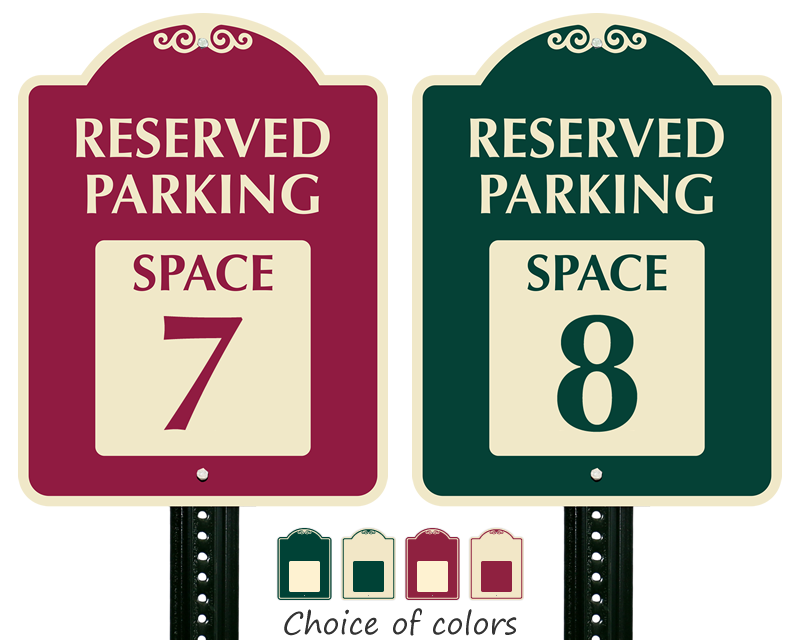 Numbered signs prevents confusion. 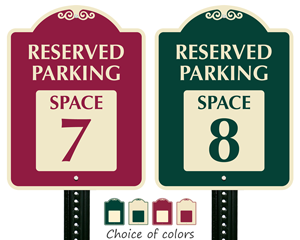 • Signs are available in 4 colors and in both reflective and non-reflective grades. • Durable, 3M inks and films are durable for over ten years outside. Find 100’s of other designs and customizable templates. Create a common look across your entire property.